I have been hand-carving hunting bows (ie: simple selfbows, straight backed bows, steamed static recurve tips, etc) for a couple years. I used to do all of my carving with a set of nice drawknives and push knives. I've moved into a new place where I no longer have a set of vises to hold my timber so that I can rapidly do a rough carving with the draw knives. I am sadly reduced to whittling on my tiny sundeck, and there are no coop/public shops where I can get bench space in this neighborhood. The only knife that holds up against these oak, osage, and especially hickory boards, is my USMC utility/combat knife. I've bought a few nice whittling knives from Lee Valley Tools, and while they work nice, they don't seem strong enough to shave off large chunks without risking damage to the knife, especially the hickory, which seems to hold a blood grudge against keen edges. I'd like something more efficient than this big knife though. Another important factor is the ability to create a flat, consistent cut/scrape. This was very easy using the draw blades or a jack plane, but much harder with just a big knife. This is even harder now that I have to hold onto the wood rather than clamp it down in a vise or with some C-clamps. Also, for the fine removal parts, I'd need something with a very hard blade, especially when trimming around knots. I'm considering a cabinet scraper, but they seem to remove too little. 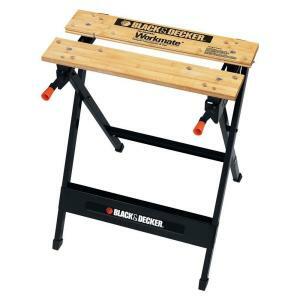 Have you considered one of the portable workbenches such as the Workmate? They fold to a pretty small package and come in a variety of sizes and prices. They appear to be discontinued. I found mine at yard sales, but they show up online occasionally. If one of these suits, you may be able to continue to use your preferred tools. If you want to use the drawknives again but don't have room for a shave horse, I've seen some smaller alternatives that look interesting. You might be able to clamp them onto a railing or something for stability while using them. One is a shave pony. It looks easy to build but you do still need a little space for it. 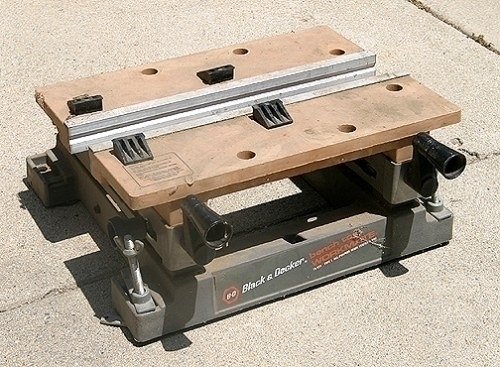 The other I cannot seem to find again on the web but it was essentially a small version of a riving brake: It was made out of a couple dowels and clamped to a workbench (or railing in your case). You don't need the big A-frame shape, just the two horizontal pieces to jam the wood between and lever against. I think this concept is the winner for utter simplicity. Not the answer you're looking for? 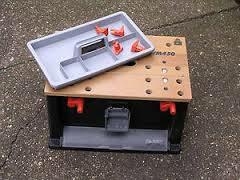 Browse other questions tagged wood tools woodworking or ask your own question. What tools and techniques are required to bend wood? What type of material should I use for a shelf over a washer and dryer? 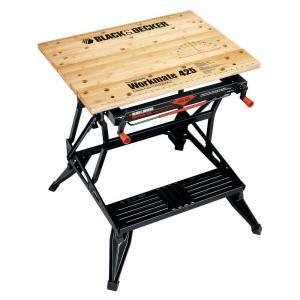 Hand tools for cutting glued boards to size?